As a business owner, you’ll often have repeat customers that you’ll bill every month. 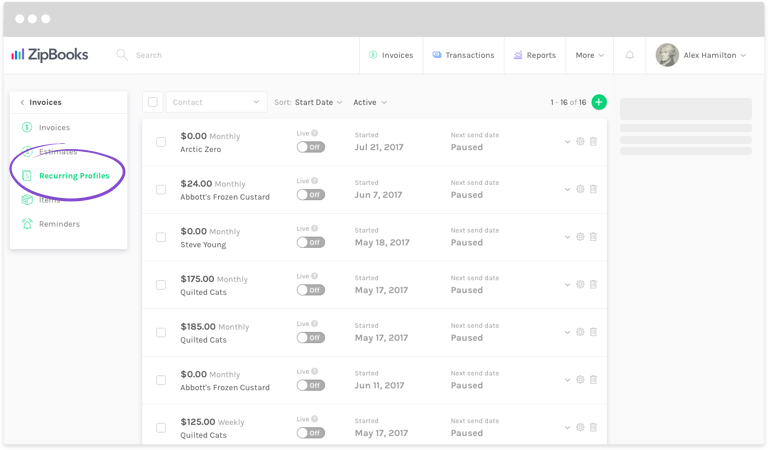 ZipBooks cuts out the need for repetitive tasks by letting you send invoices to those customers automatically. You can even bill their credit cards automatically! Use the following links to set up a new recurring profile, or create a recurring profile from an existing regular invoice.